The Rubik’s Cube was invented in 1974 by Erno Rubik who was born on 13 July 1944 in Budapest, Hungary during World War II. Erno Rubik Sr., who was a highly respected flight engineer at Esztergom aircraft factory and Magdolna Szanto, who was a poet and was Erno Rubik's parent. Erno Rubik studied sculpture and architecture at a small college in Budapest called the Academy of Applied Arts and Design wherein he became a teacher at the Department of Interior Design. It was during his time as professor that he became intrigued with a structural design problem and his cube was intended to be a working model for explaining three-dimensional geometry and it took one month before Erno Rubik was able to solve the Cube for himself. Rubik obtained Hungarian patent HU170062 for his "Magic Cube" in January 1975 and the first batch of cubes were made and distributed by Politechnika. It was first called the Magic Cube (Bűvös Kocka) and since 1970s, imports and exports were tightly controlled in a Communist regime which greatly affected the sales of Magic Cube. The Hungarian businessman and amateur mathematician, Tibor Laczi, discovered the use of the toy when it was being played by a waiter and after this incident, he asked permission to sell the Cube in the West from Konsumex which is a state trading company. Tibor Laczi demonstrated the game during the Nuremberg Toy Fair in 1979 where he met Tom Kremer who was able to licensed the Cube to the Ideal Toy Company in 1980 and the latter later renamed Magic Cube to its present name, Rubik's Cube. Since 1980, more than 350 million Rubik Cubes have been sold and because of this, Erno Rubik became the first self-made millionaire from a communist country. 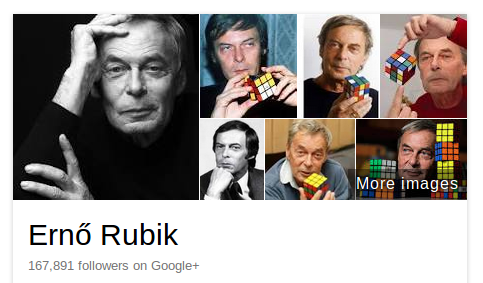 Erno Rubik also invented Rubik's Magic, Rubik's Magic: Master Edition, and Rubik's Snake. 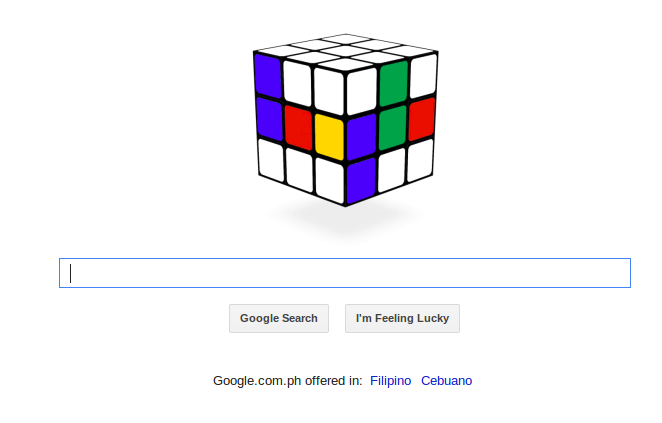 Google has celebrated the 40th birthday of the Rubik's Cube with an animated doodle that allows you to try to solves the puzzle online. Speedcubing (or speedsolving) is the practice of trying to solve a Rubik's Cube in the shortest time possible. The first world championship was organised by the Guinness Book of World Records in Munich on 13 March 13 1981 and the official winner was Jury Froeschl of Munich with a record of 38 seconds. The first international world championship was held in Budapest on 5 June 5 1982 and was won by Minh Thai (a Vietnamese student from Los Angeles) with a time of 22.95 seconds. Stamp commemorating the First International World Championship in Budapest on June 5, 1982. The current world record for single time on a 3×3×3 Rubik's Cube was set by Mats Valk of the Netherlands in March 2013 with a time of 5.55 seconds at the Zonhoven Open in Belgium. The world record for average time per solve was set by Feliks Zemdegs at the Melbourne Cube Day 2013, with a 6.54 second average solve time. For one-handed solving, a time of 9.03 seconds was made by Feliks Zemdegs at the Lifestyle Seasons Summer 2014. For feet solving, Fakhri Raihaan solved a Rubik's Cube with his feet in 27.93 seconds at the Celebes 2012. For group solving within 12 minutes, the record set by 134 people on 17 March 2010 by school boys from Dr Challoner's Grammar School, Amersham, England, breaking the previous Guinness World Record of 96 people at once. For group solving within 30 minutes, the record was set on 21 November 2012 at the O2 Arena in London with 1414 people breaking the previous Guinness World Record of 937 with the event being hosted by Depaul UK. For blindfold solving, the record was set by Marcin Zalewski of Poland in 23.80 seconds (including memorization) at the Polish Nationals in 2013. For multiple blindfold solving, the record was set by Marcin Kowalczyk of Poland, who successfully solved 35 of 41 cubes blindfolded at the Polish Nationals 2013. For fewest moves solving, the record was 20 moves held by Tomoaki Okayama (岡山友昭) of Japan at the 2012 Czech Open. For non-human solving, the fastest non-human time for a physical 3×3×3 Rubik's Cube is 3.25 seconds, set by CubeStormer III, a robot built using Lego Mindstorms and a Samsung Galaxy S4.